Strong unions have led to economic stability for professional airline pilots and other workers across the United States and Canada. This stability and predictability, made possible by collective bargaining agreements, have provided jobs for hardworking Americans and allowed airlines to expand service to new markets and attract new passengers and freight shippers. But workers’ ability to choose union representation is under attack right now due to a proposed rule change by the National Mediation Board (NMB). Independence Day is a time for the nation to celebrate freedom while reflecting on American values. Today, as we recognize the record number of individuals flying on this Fourth of July holiday, ALPA and its pilots continue to work hard to keep our motto, “Schedule with Safety,” front and center. Flying is the safest mode of transportation in the world thanks to our highly trained and qualified pilots, whose top priority is to keep flying safe. 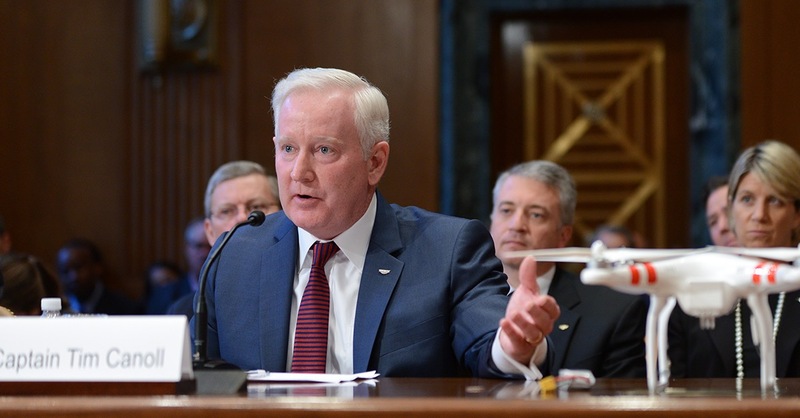 Earlier this month, I testified before the U.S. Senate Committee on Small Business and Entrepreneurship on the need to fully regulate all uses of unmanned aircraft systems (UAS). ALPA takes exception to these conclusions about the extremely low risk of collision. The report’s statistics were built by evaluating the historical number of wildlife strikes and damage caused throughout the past 25 years. 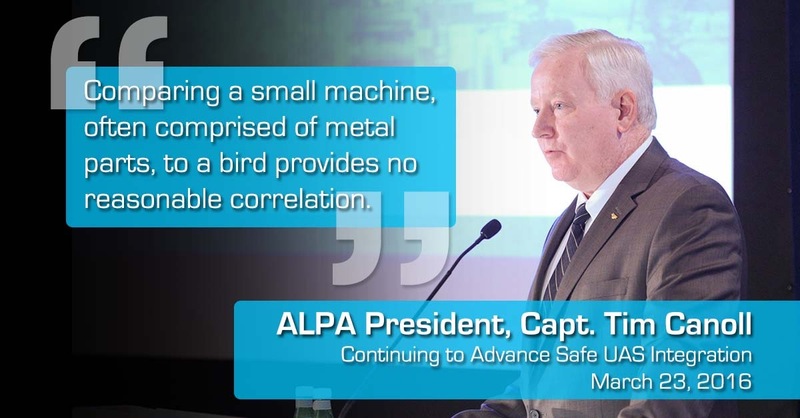 Comparing a small machine, often comprised of metal parts, to a bird provides no reasonable correlation. Aircraft engines have been tested against birds and designed to withstand a certain level of ingestion. To date, no such tests have been conducted with UAS. Based on a lack of research and testing data, it is presumptuous to correlate UAS and bird strikes. Earlier today, I testified before the U.S. Senate Appropriations Committee's Transportation, Housing and Urban Development (THUD) Subcommittee and discussed the urgent need to address all aspects of unmanned aircraft systems (UAS) operations in order to protect the safety of the U.S. national airspace system. This was the second time this month that ALPA was called to Capitol Hill regarding this important issue, allowing us the opportunity to reiterate the importance for Congress to direct the Federal Aviation Administration (FAA) to regulate all operations of UAS, including recreational and hobby use. While ALPA supports advancing America’s competitiveness through the use of UAS, safety is paramount. Recently, we launched a four-part action plan to safely integrate UAS with focused efforts on education, registration, technology, and penalties, and enforcement. Thank you to all the pilots who’ve taken their time to schedule meetings with a member of Congress this month!